The presence of asbestos is no walk in the park for anyone, but for schools it is an even greater burden. As with any asbestos remediation project there is a need to carefully remove the hazardous material all while protecting the surrounding environment and ensuring no asbestos fibers are released into the air. Educational agencies are also required, under the Asbestos Hazard Emergency Response Act (AHERA), to inspect their school building for asbestos-containing materials, develop a plan to manage it, and then take actions to help reduce and prevent asbestos hazards. The plan they develop not only needs to be updated every three years, but it also needs to be communicated to all parents involved. The U.S. Environmental Protection Agency (EPA) provides annual funding to help schools establish and execute these plans. It also helps states maintain an asbestos accreditation and certification training program. This funding is key, as the costs for schools to develop, execute, and get ahead of asbestos remediation plans can be costly. The EPA recently announced an award of $631,000 to five New England state agencies. Given the history in New England and its structures, asbestos is very common. The recent news article, announcing the EPA award, also articulates the notable asbestos issues found in schools throughout New England. 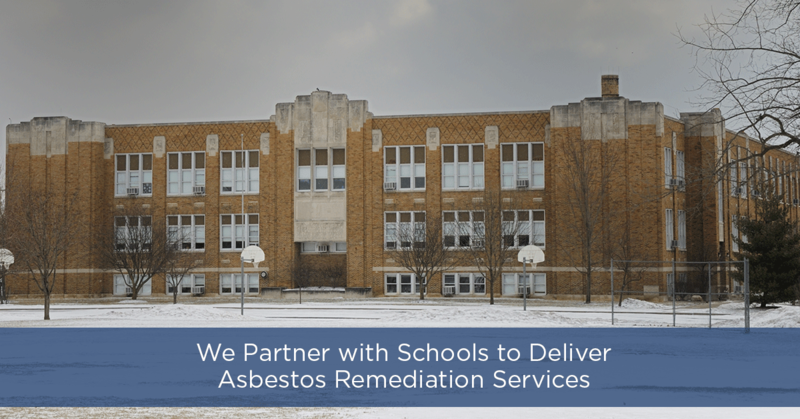 As a Massachusetts and Rhode Island fully-licensed asbestos contractor, we have over 25 years’ experience partnering with schools to provide asbestos-related services. Should your school be looking for assistance in 2018 to develop and execute an asbestos remediation plan, please give us a call at 866.934.2374 or e-mail [email protected]. Subscribe to our newsletter for information on asbestos, mold, and other environmental issues.